The project is a situated materialisation of the intangible circulation of carbon-dioxide through non-human and human ecologies. 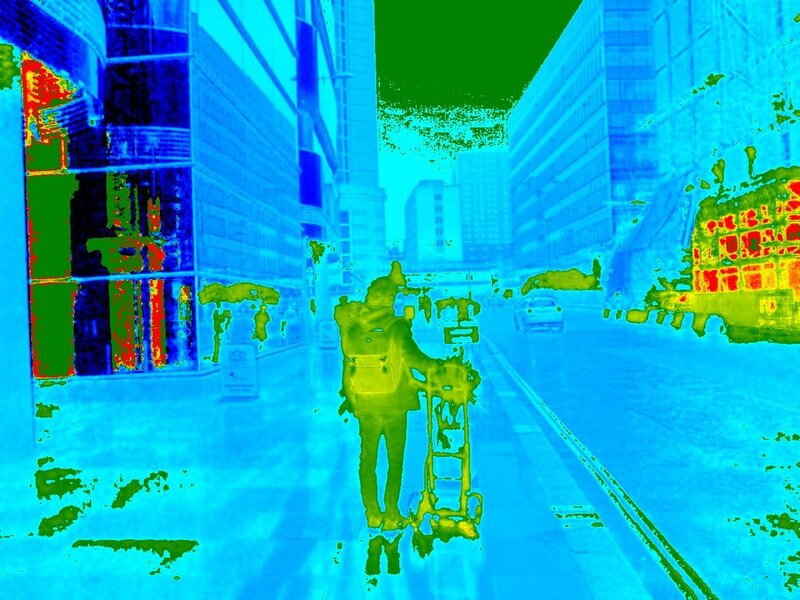 The artist Mirko Nikolić performs a series of potential financial exchanges of carbon stocks over a ten-days walk across London, which is documented by an online stream of data and archived in form of an installation in arebyte Gallery. All That Is Air Melts Into City questions and explores the ungraspable speed of contemporary economic flows and transactions, through a re-enactment of the economic infrastructure in a human pace paralleled with the temporalities of bio- and atmosphere. A molecule of carbon-dioxide (CO2) takes on a panoply of shapes and circulates among various ecological actors - atmosphere, animal bodies, plants, rocks, car engines, industries, and so on and so forth. All these actors capture, transform, or release carbon-dioxide. This vital cycle is all-pervading and ubiquitous but, in a strange twist of evolution, it is all but intangible to human senses. Lately, carbon-dioxide is emerging as a major public 'figure'. Among its other roles, it is the main protagonist of the European Union Emission Trading Scheme, the electronic financial market for industries trading in “allowances” to release CO2 into the atmosphere. The market’s logic and operation is complex and out of reach of everyday perception in a similar fashion to the clouds of CO2. Yet, this market is based in London, and myriads of molecules of CO2 are running through the air of the city. All That Is Air Melts Into City juxtaposes the real with the imaginary paths and rhythms of carbon in London to create a voyage through a hybrid landscape of natures and cultures. The walks invent possible routes of exchange of the carbon stocks market on street-level, alike some back-to-the-future Silk Roads. Throughout the walks are made tentative observations and makeshift measurements of different processes involving carbon. These measurements appear on the project’s web-site in a stream of discreet chunks of data. At a risk of overviewing readability, this heterogeneous dataflow aims to echo the living disjunctions and conjunctions among the participants of the carbon cycle. The installation in the gallery, a forest of young dragon trees in a pseudo-office space, is a miniaturised landscape of the powerful structure of the financial market. Seemingly of little impact, it is indeed a small factory of clean air laboriously producing wood and oxygen, thus an active participant in the cycle. The interplay between the walks, the online platform and the landscape of trees intends to reveal the vibrancy of carbon dioxide’s interactions with other entities. At the same time, it is a field study that critically approaches the ideologies about the potential of digital data “to reveal mystic truths”. Mirko Nikolić (b. in Belgrade, Serbia) uses different media to explore representation and performance of networks - social, political, and economic ones. The focus of his work lies on the particular dynamisms of ecological networks, which interweaves biological, technological and social actors. This project was part of his ongoing doctoral research at the University of Westminster in the department of Media, Arts & Design, centred on speculative modalities of co-operation between non-humans and human actors, ways of dwelling and acting within “flat ontologies”. He has exhibited in a number of solo and group shows in Italy and Serbia. All That Is Air Melts Into City was his debut in London and United Kingdom.